Deep down inside, do each of us really yearn for some conflict, struggle, and sadness in our lives? What would be lost if we were to become permanently happy? This is what Aldous Huxley explores in Brave New World, the fifth-best novel of the 20th century, if you’re inclined to believe the Modern Library editorial board. Can permanent happiness be achieved without coffee? It seems implausible, and Huxley apparently agrees. Aging, career quandaries, and unrequited love — unrequited anything, really, as well as any form of love — are absent in the Brave New World. But in the year 632 AF (After Ford — and yes, that’s Henry Ford), they’re still drinking coffee. Occasionally. 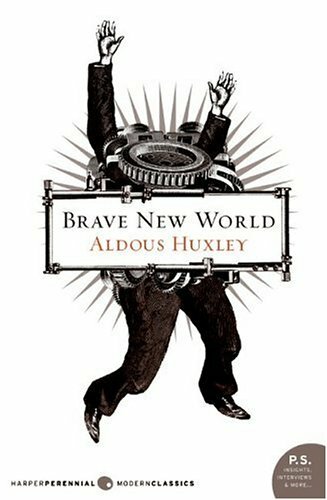 Coffee only appears once in Brave New World, and even then it’s used to wash down soma, a happy-pill drug the characters constantly take. The book being set in London, some traditions endure. Taking caffeine solution, perhaps with crumpets, is still a mark of polite society. Helmholtz is unfazed when he gets into, uhm, hot water with his fordship, the Resident Controller of Western Europe. Brave New World. Photo by Bernard Goldbach. I’m reluctant to opine much when discussing classics. After all, they’re classics, right? I can either affirm the self-evident — the classic novel is really good — or I can be the contrarian blogger who trashes the classic novel. And who would I be kidding then?? 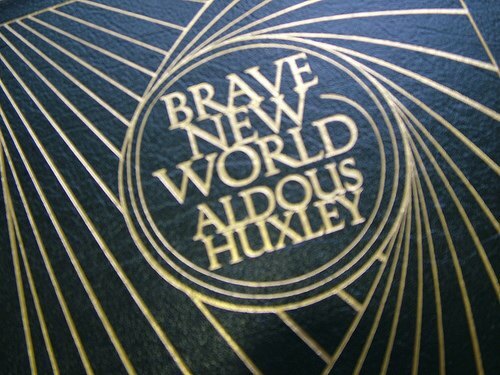 I’ll leave it at this: I enjoyed Brave New World, especially the dark humor that grows darker and yet more humorous as the book goes on — A Clockwork Orange by Anthony Burgess resonated with me in a similar way. I don’t think BNW was the 5th-best 20th-century novel I’ve read, but there have been much more laughable best-of list inclusions than this one. Huxley, if nothing else, knew that all the soma in the world couldn’t keep people happy in a world that lacked coffee. Brave New World – Amazon product page.